The Novello edition of Missa in Tempore Belli is in English and German for SATB. 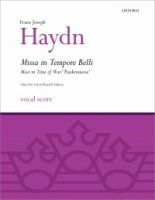 Missa in tempore belli (English: Mass in Time of War) is Joseph Haydn’s tenth, and one of the most popular, of his fourteen settings of the mass. This mass is catalogued Mass No. 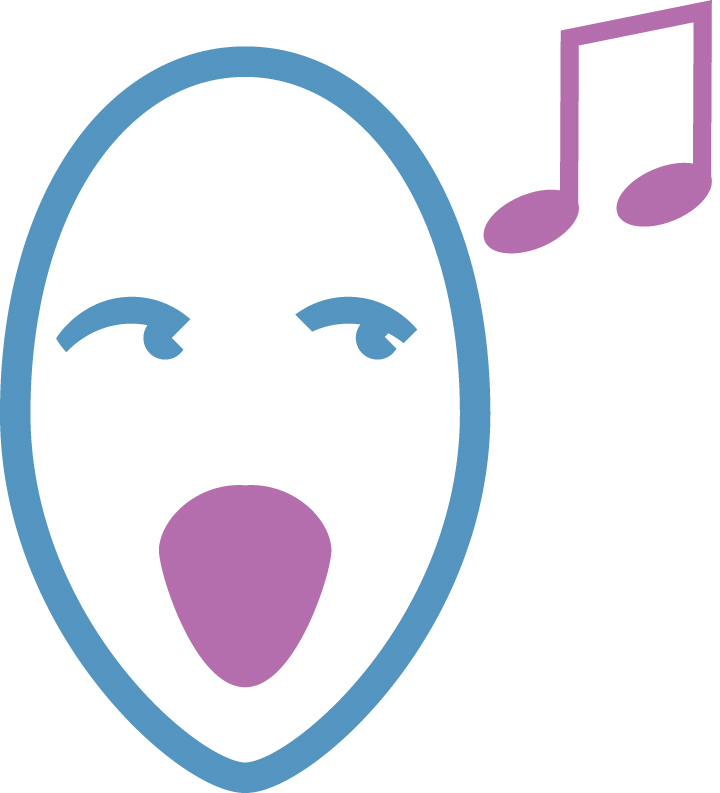 10 in C major, (H. XXII:9), and is sometimes known as the Paukenmesse (English: Kettledrum Mass) due to the inclusion of the timpani in its orchestration. However, the autographed manuscript contains "Missa in tempore belli" in Haydn's own handwriting, showing no doubt that this was the intended title from the beginning. Haydn composed this mass at Eisenstadt in August 1796, at the time of Austria’s general mobilisation into war. Four years into the European war that followed the French Revolution, Austrian troops were doing badly against the French in Italy and Germany, and Austria feared invasion. Reflecting the troubled mood of his time, Haydn’s potent integration of references to battle in the Benedictus and Agnus Dei movements is inspired. The Mass was first performed on December 26, 1796 in the Piarist Church of Maria Treu in Vienna. 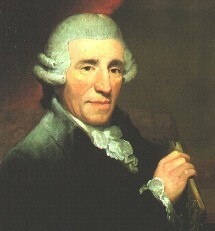 Haydn was a deeply religious man, who appended the words “Praise be to God” at the end of every completed score. As Kapellmeister to the Prince Nicholaus II of Esterházy, Haydn’s principal duty in the last period of his life beginning in 1796 was the composition of an annual mass to honour the name day of Prince Nicholas’ wife, Princess Maria Hermenegild, 8 September, the birth of the Blessed Virgin. In a final flowering of his genius, he faithfully completed six magnificent masses (with increasingly larger orchestras) for this occasion. Thus Missa in Tempore Belli was performed at the family church, the Bergkirche, at Eisenstadt on September 29, 1797. Haydn also composed his oratorio The Creation around the same time and the two great works share some of his signature vitality and tone-painting. This piece has been long thought to express an anti-war sentiment, even though there is no explicit message in the text itself, and no clear indication from Haydn that this was his intention. What is found in the score is a very unsettled nature to the music, not normally associated with Haydn, which has led scholars to the conclusion that it is anti-war in nature. This is especially noticed in the Benedictus and Agnus Dei. During the time of the composition of the Mass the Austrian government had issued a decree in 1796 that "no Austrian should speak of peace until the enemy is driven back to its customary borders." Whether this is enough to call it anti-war in nature is certainly debatable because most of the mass is of a lyrically joyful nature. The sense of anxiety and foreboding continues with ominous drumbeats and wind fanfares in the Agnus Dei, which opens with minor-key timpani strokes (hence the German nickname, Paukenmesse), perhaps fate itself, knocking seemingly from the depths. This foreshadows the timpani-catalysed drama of the Agnus Dei in Beethoven's mighty Missa Solemnis. 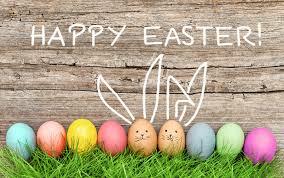 The music brightens with trumpet fanfares, ending with an almost dance-like entreaty and celebration of peace, "Dona nobis pacem" (Give us peace).